Colorado Federal Jury Throws Out RICO Case Threatening State Marijuana Law . That didn't take long. A Denver federal court jury took only a few hours Wednesday to reach a verdict against a couple who claimed a marijuana cultivation operation was ruining their property values and threatening their lifestyle. The couple, aided by anti-marijuana attorneys, had attempted to use federal RICO statutes to undermine the state law, arguing that because marijuana is still federally illegal, its production violates federal racketeering laws. But the jury didn't buy it. Wisconsin Governor's Plan to Require Drug Testing for Medicaid Rejected . The federal Center for Medicare and Medicaid Services has rejected a proposal from Gov. Rick Scott (R) to require drug testing as a condition for receiving Medicaid benefits. Walker had proposed several changes to the state program, known as BadgerCare, and the administration approved requiring childless adults to work or lose coverage, but not the proposed drug testing. Instead of requiring drug screening and testing, Medicaid applicants will now have to complete a health assessment with questions about drug use. If the assessment indicates concerns about drug use, the applicant will be referred to treatment, but not required to go. New York City Legislation Would Expand Opioid Treatment at Homeless Shelters . City Councilman Stephen Levin (D-Brooklyn) Wednesday filed legislation to increase access to opioid treatment at city homeless shelters. The bill would allow for easier access "We can't continue to sit by and do nothing," said Levin. "As we've seen in New York City and throughout the country, the status quo is not working. People are overdosing on opioids every day in New York City -- more than homicides and traffic fatalities combined." 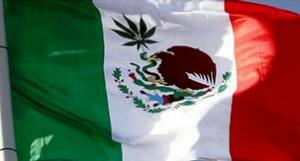 Mexico Supreme Court Strikes Down Marijuana Prohibition . In a pair of rulings Wednesday, the Supreme Court of Mexico ruled that the country's ban on marijuana violates individual autonomy protections in the Mexican constitution. The court said adults have the right to grow, possess, and use marijuana, but that the government retains the right to regulate consumption. It also directed the federal health agency to begin to develop regulations reflecting the decision. The ruling does not legalize marijuana commerce; it would be up to the Mexican congress to take up that issue. Medical Marijuana Now Legal in Great Britain . As of Thursday, November 1, some medical marijuana patients will be able to legally seek and obtain their medicine. Legal access to medical marijuana will be limited to patients who have "an unmet special clinical need that cannot be met by licensed products." It will be up to a special panel to determine who meets that condition, but there are worries that the system may prove too unwieldy to satisfy the needs of hundreds of thousands of potential patients.